Vibrant monochromatic colors make the Pure Komachi 2 series a striking addition to your kitchen, but the deceptively playful colors serve a no-nonsense purpose. The high-carbon stainless steel blade provides a razor-sharp edge, while the color-coding makes it easy to choose the right knife for the job, right out of the clear acrylic block. 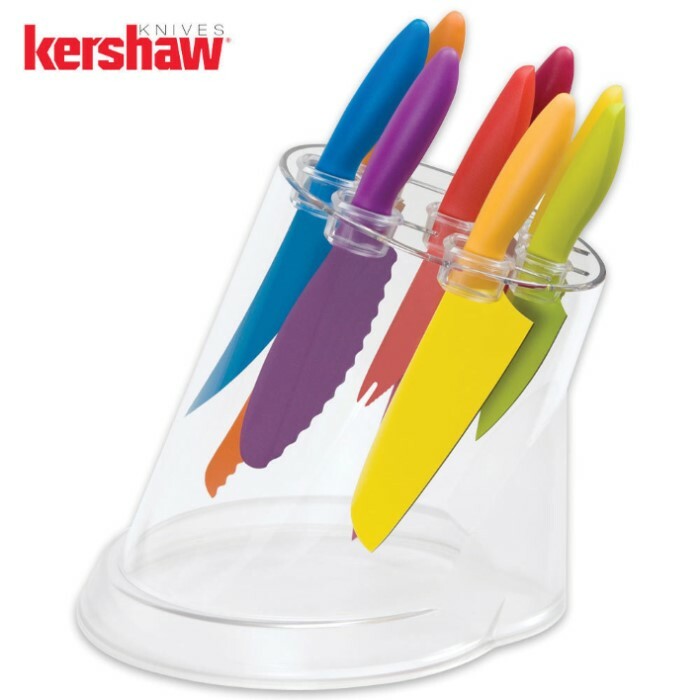 The variety of colors help guard against cross-contamination of your food, making it easy to remember which blade you used on your meat and which knife was for vegetables. 6 in. Multi Utility Knife. Great little knife set. They are very sharp and the color coating seems durable. My wife loves them.